To continue with the best DJ Equipment Roundup Series, I am bringing you my top-10 picks for Digital Media Controller/CD Turntable units currently available at retail... 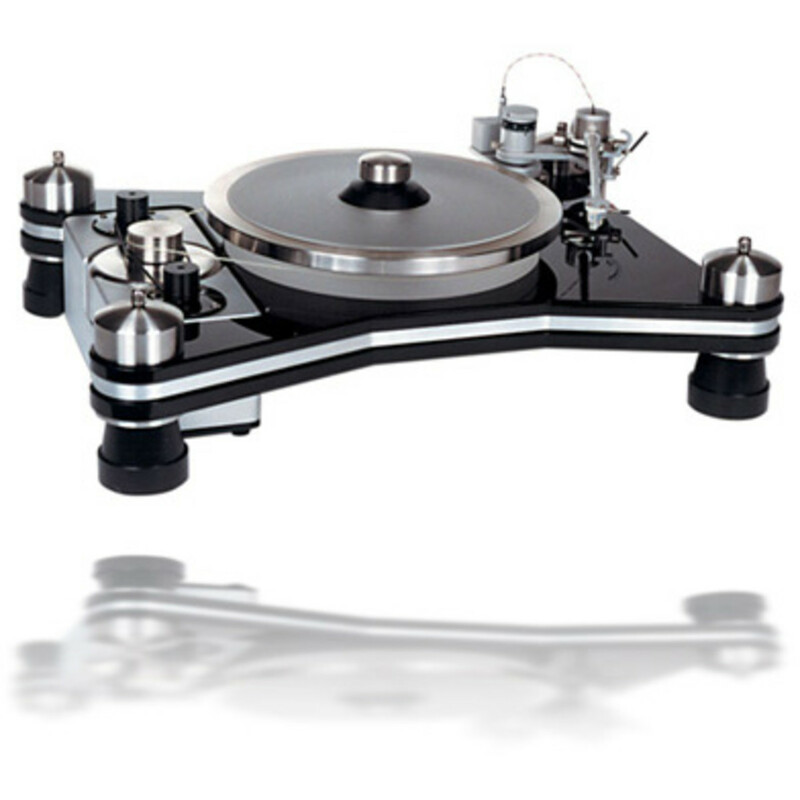 I decided to group CD turntables and Digital Media Controllers together because many CD turntables also have the ability to act as Media Controllers, and if used with software, they can act in the same manner. 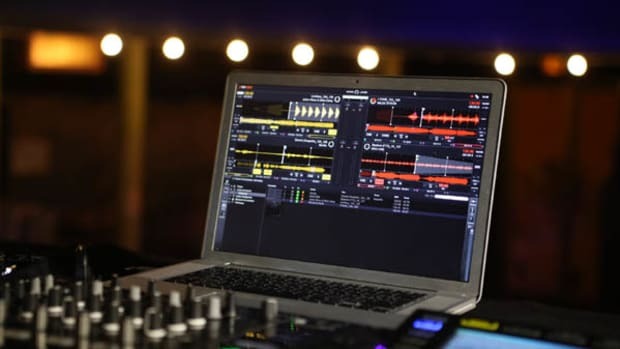 In this day and age, more and more DJ&apos;s are turning away from vinyl and adopting the (relatively) new digital media controller/CD format turntables for their ease of use, file-browsing capabilities, and on-board features. 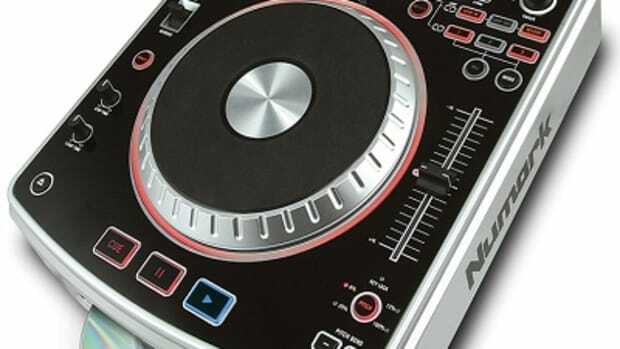 They also (sometimes) have a smaller form factor than an analog set of turntables which can help save on space and weight for Mobile and Club DJ&apos;s. The Digital Media controllers/CD Turntables can be used with a digital software interface such as Traktor, SSL, Virtual DJ, etc… and some of them can use an internal software with on-board navigation to search files on inserted USB media. There are many different options out there to choose from, so in order to help the DJ’s who are ready to spend their money on a pair of decks; I put together my top-ten list of Professional-Grade Digital Media Controller/CD Turntables which are currently available to the public. 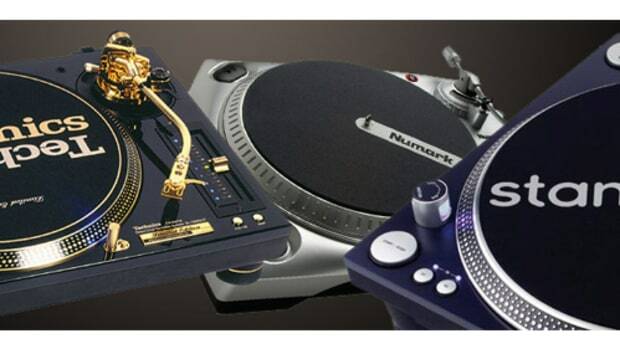 Some of these decks are labeled as discontinued but I was personally able to locate all of these turntables for sale online. You will notice that I have numbered the list below only because I wanted to show 10 distinctive selections, but each of these decks possess high-quality characteristics and all have been built with outstanding usability in mind. Some decks in this list will be better suited for scratching and juggling as they possess actively spinning platters, while others may be more suited for mixing with a non-spinning platter. Each deck has their own pros and cons but in the end, the user must make up their own mind to decide which features/aesthetics/functions are more important to them before making a purchase. Each of these decks have their own followers and fanboys as well and I don’t want to get into any arguments as to which turntable is better or worse… All favoritism aside, I am pretty sure that any DJ who ends up with either pair in this list will be more than satisfied with their pick. Again, the numbering in the list is not for ranking, but only to categorize 10 distinct best decks as some decks are so similar in brand/features that it doesn&apos;t require an additional entry. Below each deck is a short description of the device and its capabilities. If your favorite deck didn’t make the list, or if you have any questions, comments, or concerns, please comment below or drop me a line at djblaze@djbooth.net. * Multi Format Playback - The CDJ-2000 enables playback of MP3, AAC, WAV and AIFF audio files on CD,DVD-ROM, SD card and USB memory devices. * Pro DJ Link - New Pioneer Pro DJ Link that enables up to four CDJ-2000/900s to beconnected and share a single music source. * 6.1” Full Color LCD panel and Graphic User Interface - For displaying song titles, jacket art as well as detailed track information and wave form display of each song so DJs can find informatio nneeded to select a song at a glance. * Needle Search - Helps DJs instantaneously get to a specific part of a song with a simple touch of the Needle Search pad. * MIDI - Users can assign various buttons of the CDJ-2000 to trigger other devices, such as DJ effecters and software with MIDI mapping capability. * Free Rekordbox Music Management Software Included - Both the CDJ-2000 and CDJ-900 turntables include rekordbox, Pioneer’s proprietary music management software that organizes and catalogs a DJ’s entire music library. When music files are imported to rekordbox, the software analyzes each file and prepares them for use specifically with thenew CDJ turntables. * Compatible with Various Media and Music Formats – Playback of MP3, AAC, WAV and AIFF files recorded on USB devices and CD-R/RW discs as well as conventional music CDs. * Rekordbox™ Music Management Software – Through the rekordbox software, music files are analyzed by BPM2 and beat position and can be categorized by genre. Analyzed music can be selected by genre, album or artist on the CDJ-350. * BEAT Display Function – Visually illustrates the beat position of a song and the playback point providing easier hand, eye and ear coordination when performing scratches and loops. * Auto BPM Lock – Users can set a Master beat per minute (BPM) on the CDJ-350 that current playing songs can be synchronized to with a touch of a button. The feature enables beginners to easily match the tempos of songs by simply adjusting the speed to the Master BPM on each player. * Create Playlist Function – While a song is playing, users can immediately add it to a new playlist with a touch of a button for future playback of favorite songs. * DJ Software Compatible – The CDJ-350 is MIDI compatible with other DJ software allowing it to be used as an audio interface. * Dimensions: 12.6" x 14.5" x 4.4"
- Bright VFD (Vacuum Fluorescent Display) shows BPM, time, and unit status. - Velocity-sensitive pads assignable to loops, cue points, etc. 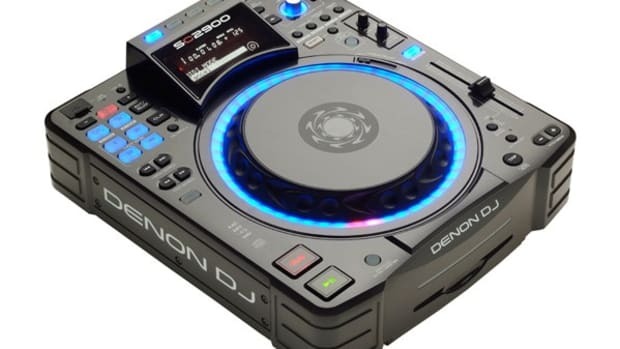 - Dimensions: 4.5" X 12.5" X 13"
After teasing everyone with a quick video with DJ Switch showing off the scratching prowess of a new machine, Denon DJ has finally let the cat out of the bag! 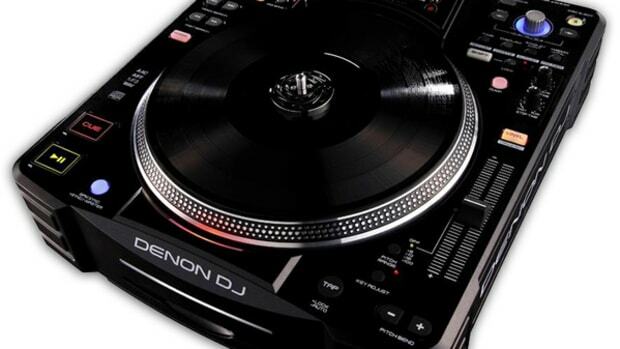 Introducing the newest Multi-Media player form Denon DJ dubbed the SC3900. 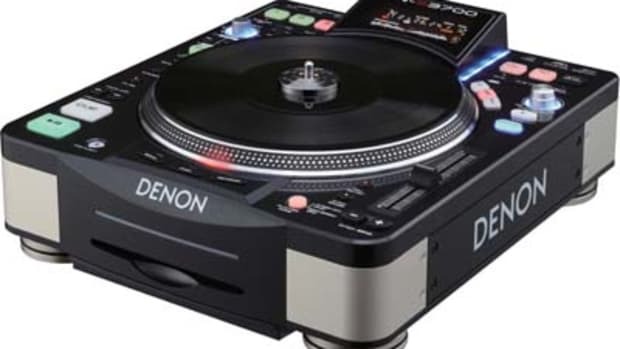 The SC3900 looks very similar to the current Denon DN-S3700 with a few more MIDI and controller buttons for the DJ software users. The SC3900 will be able to play CD's, USB flash/hard drives, SD Cards (speculation), and will have a Traktor mapping from the factory to support the new Cue/Sample buttons in the upper left hand corner of the unit. Check inside for more details and the teaser video.